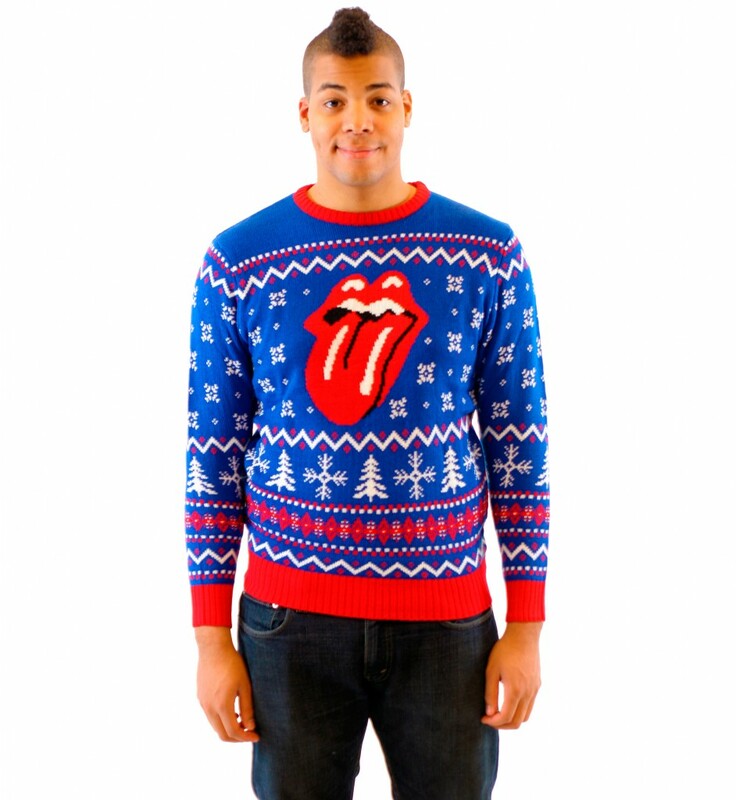 If there's an Ugly Christmas Sweater party in your future, you may be panicking right about now. Have no fear: Here are some great local options for plenty of cringe-worthy garments. No surprise here, but Wal-Mart has a ton of choice pieces. With their low prices, you'll have plenty left over for some matching light-up earrings. 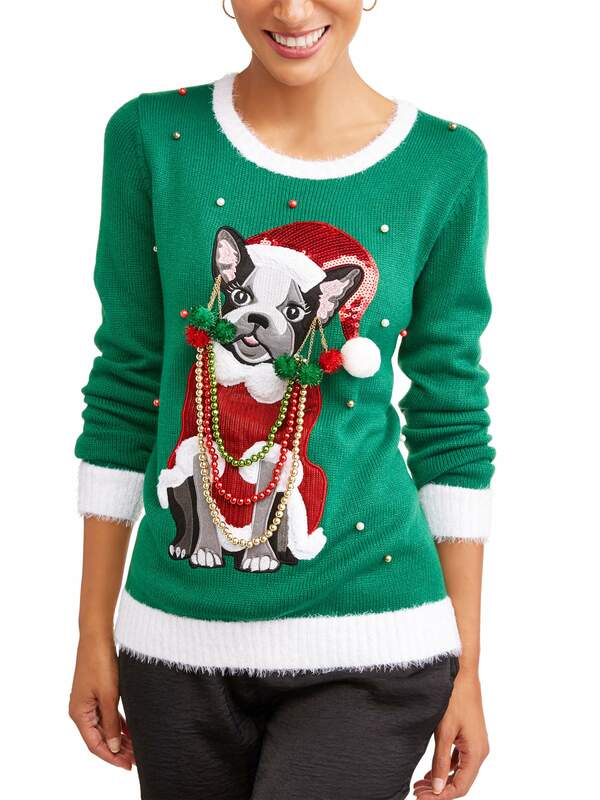 This canine-centric number features REAL faux pearl strands, faux fur trim, and a plethora of pom poms. Best part is, it's only $15! 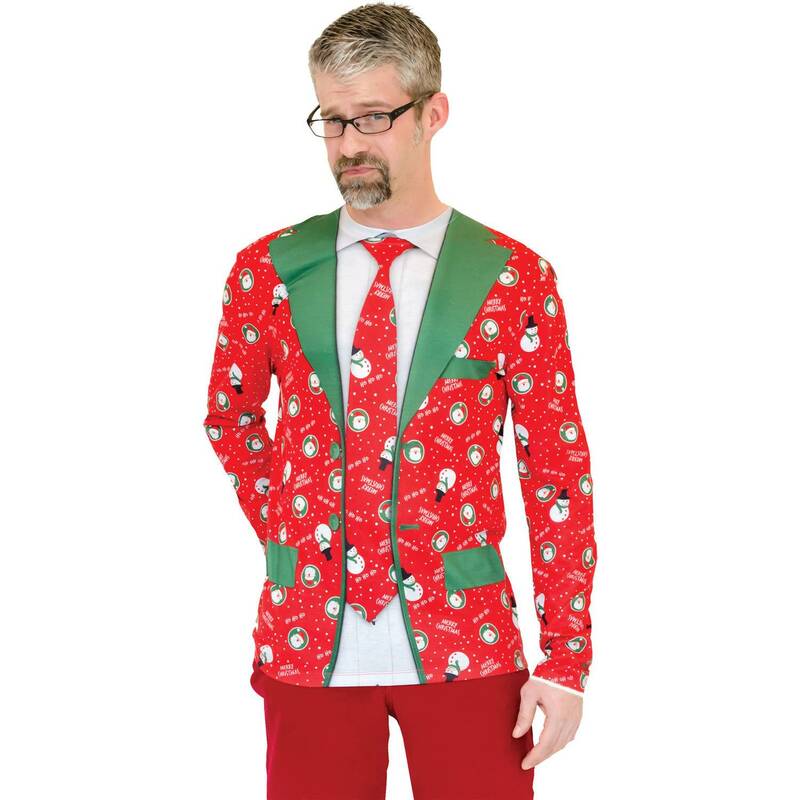 If you're going somewhere a little more formal, this jacket and tie combo is a classic choice. At just under $30, you'll definitely get your money's worth! 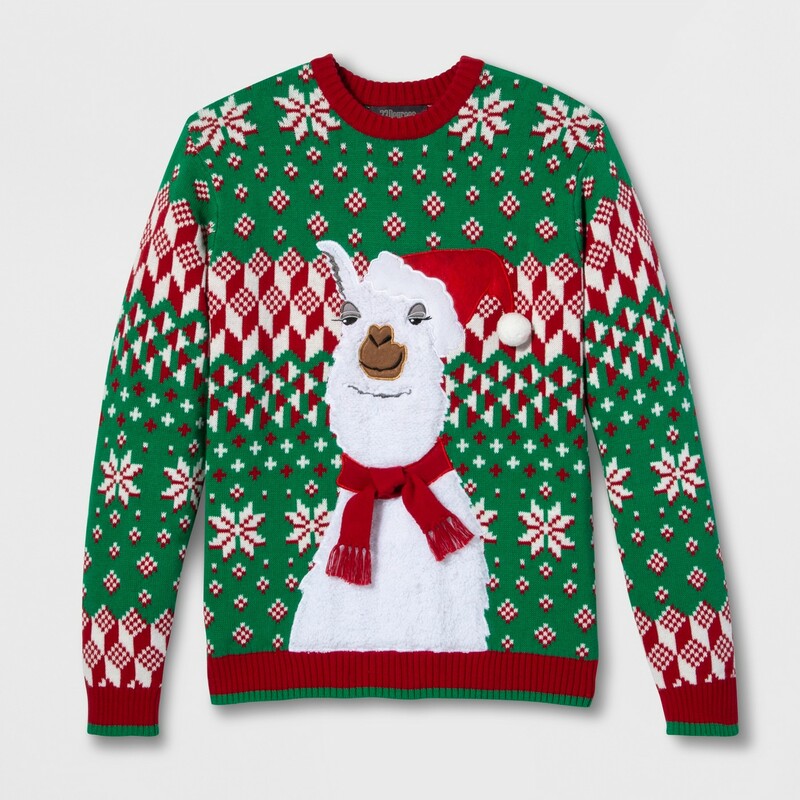 Go for understated in this llama pullover. Accessorize with a matching red scarf, and you're good to go! The world is your oyster when you start looking on Amazon for your unique winter wear. Yes, this is, in fact, a cat surrounded by glittering hairballs. 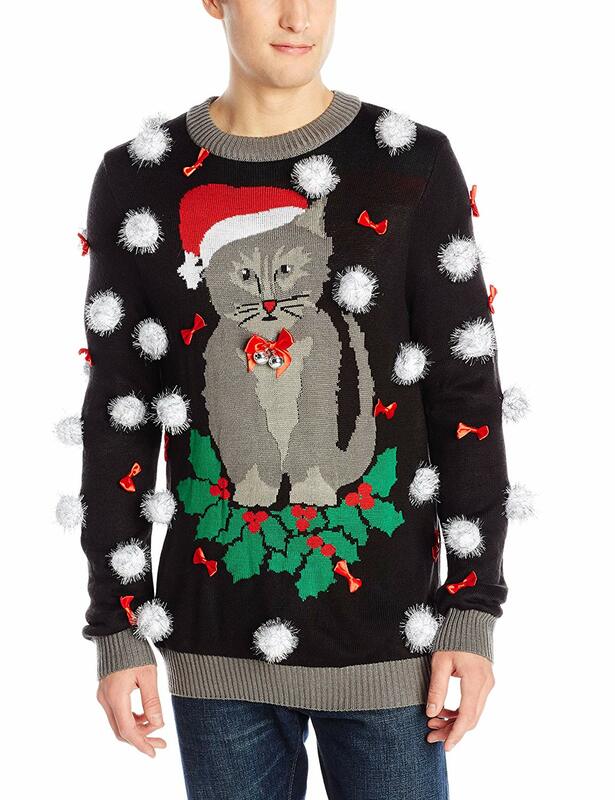 A bit expensive at $39.99, you can't really deny the workmanship of this gorgeous sweater. 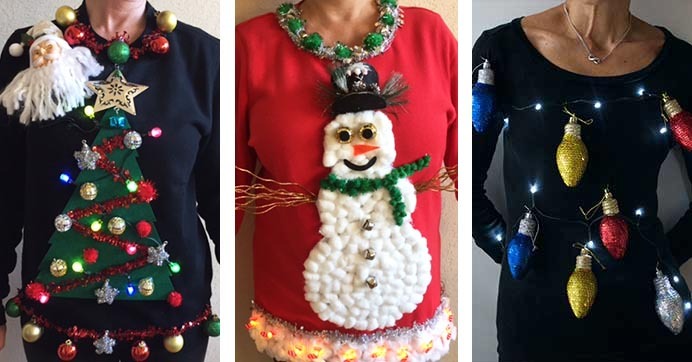 If you have a little time, grab a glue gun, some pom poms, and a thrift store sweater. Animal print? Awesome! Shoulder pads? Even better! Think outside the box when it comes to embellishments. Why stick to Santa and ornaments? How about a Christmas dire wolf or a Hanukkah sigil? Let your imagination run wild, and don't be shy with the glitter! If you choose to add a lighting kit, you may want to carry a mini fire extinguisher with you. I'm just sayin'! This is where you go if you REALLY want to impress. 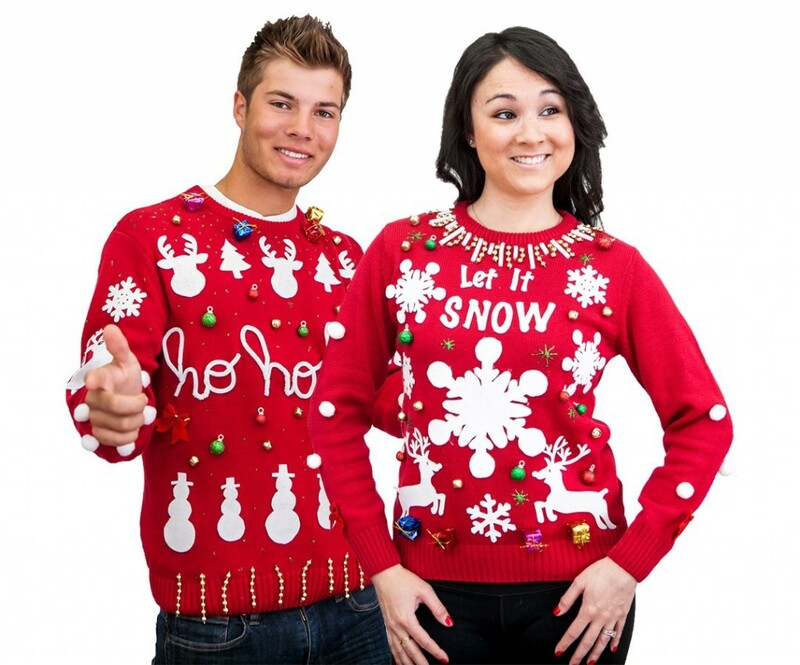 UglyChristmasSweater.com has all kinds of categories like 3D, pop culture, or even customize-your-own-onesie! Do you have a favorite source that we missed? Let us know in the comments below! Need the perfect white elephant gift? We've got some ideas!